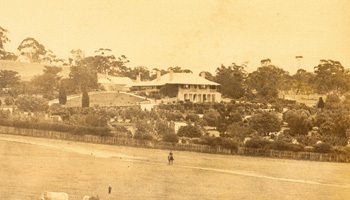 The material contained in this website has been produced by Goldin Farms in accordance with its current practices and policies and with the benefit of information currently available to it, and all reasonable efforts have been made to ensure the accuracy of the contents of the pages of this website at the time of preparation. Goldin Farms regularly reviews this website and where appropriate will update pages to reflect changed circumstances. Notwithstanding all efforts made by Goldin Farms to ensure the accuracy of this website, no responsibility or liability is accepted by Goldin Farms in connection with any matter or action taken following any use of or reference to the material on this website or for any inaccuracies, omissions, mis-statements or errors in the material on this website, or for any economic or other loss which may be directly or indirectly sustained by any user of this website or other person who obtains access to the material on this website. The material on this website is for general information only and nothing in this website contains professional advice or an offer for sale or any binding commitment upon Goldin Farms in relation to the provision of services including any stallion nominations. All users should take advice from a suitably qualified professional in relation to any specific query or problem that they may have or in relation to any services included in this website, and Goldin Farms takes no responsibility for any loss caused as a result of reading the contents of this website. As the internet is inherently insecure, the Goldin Farms cannot guarantee the security of data contained on the website. Also materials contained on this website may contain links to material on other websites. The links provided to other websites are done for convenience purposes only and the Goldin Farms does not purport to sponsor, approve or endorse any of the linked materials or accept any responsibility for the accuracy of the information therein. Goldin Farms does not represent or warrant that the material on this site or linked materials are free of computer viruses or other defects. Goldin Farms recommends that virus checks should be done on any downloaded materials. To the extent permitted by applicable laws, all warranties, representations and implied terms are excluded. Your use of this website, and your reliance on its content are entirely at your own risk and no claims, actions or legal proceedings in connection with this website brought by you or any other user having reference to the material on this website will be entertained by Goldin Farms. We exclude all liability to you for any lost profit, lost opportunity, lost revenue, lost data, losses resulting from security failure or computer viruses, or any indirect or consequential loss resulting from your use of our website or its content. If, despite the previous clause, a court says we are liable to you, that liability will be limited to, at our election, the resupply the affected service or content to you or refunding what you have paid for it. Goldin Farms makes no warranties or representations that the Linked Materials do not infringe the intellectual property rights of a third person. These Terms and Conditions must be read in conjunction with Goldin Farms’s Privacy Statement. 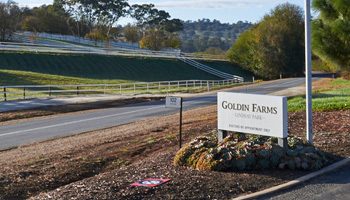 Goldin Farms undertakes to comply with the terms of its Privacy Statement which can be accessed on this website by clicking on the following link. Unfortunately, no data transmission over the Internet can be guaranteed as totally secure. Although Goldin Farms strives to protect such information, Goldin Farms does not warrant and cannot ensure the security of any information which you transmit to it. Accordingly, any information which you transmit to Goldin Farms is transmitted at your own risk. Nevertheless, once Goldin Farms receives your transmission, it will take reasonable steps to preserve the security of such information. These Terms and Conditions of use are governed and construed in accordance with the laws in force in South Australia, Australia. You submit to the non-exclusive jurisdiction of the courts of South Australia, Australia and any courts which may hear appeals from those courts in respect of any proceedings in connection with these Terms and Conditions of use, or the use of this website.